Appetites fall in summer because of heat and humidity. There is a belief that hot (as in temperature hot) foods such as piping hot coffee, tea, soups etc are efficacious in summer because they induce perspiration, which eventually leaves the person feeling cooler. This is a myth. Taking hot foods to reduce body temperature will not only make you uncomfortable because of the heat but the sweat makes you feel worse. So is it a good idea to eat cold foods? Yes and no. While cold beverages and salads are comfortable to consume, a cooked meal that has been kept aside for many hours to be consumed at room temperature might actually harbor more bacteria. 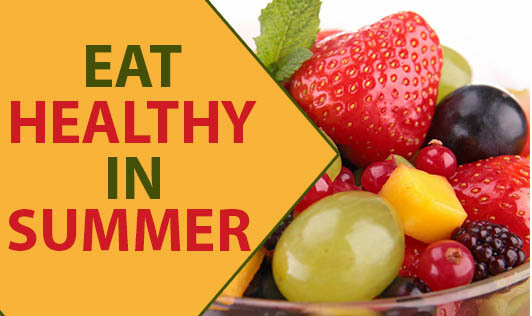 Food-borne illnesses are at an all time high in summer. The danger zone for period multiplication of bacteria is four to 60 degrees Celsius. While hot foods need not be boiling hot, a temperature of about 70 degrees would be comfortable and safe to eat. Cold foods should be below four degrees. Ideally cooked foods should be consumed fresh after cooling to a comfortable temperature. If this is not possible, they may be cooled, stored in cool temperatures, re-heated and consumed immediately. Spicy foods are also believed to be beneficial in beating the heat. Though this is not true, spicy foods can get the gastric juices flowing and improve appetite in summer. Some Asian cuisines have spicy soups served cold - a double benefit perhaps.